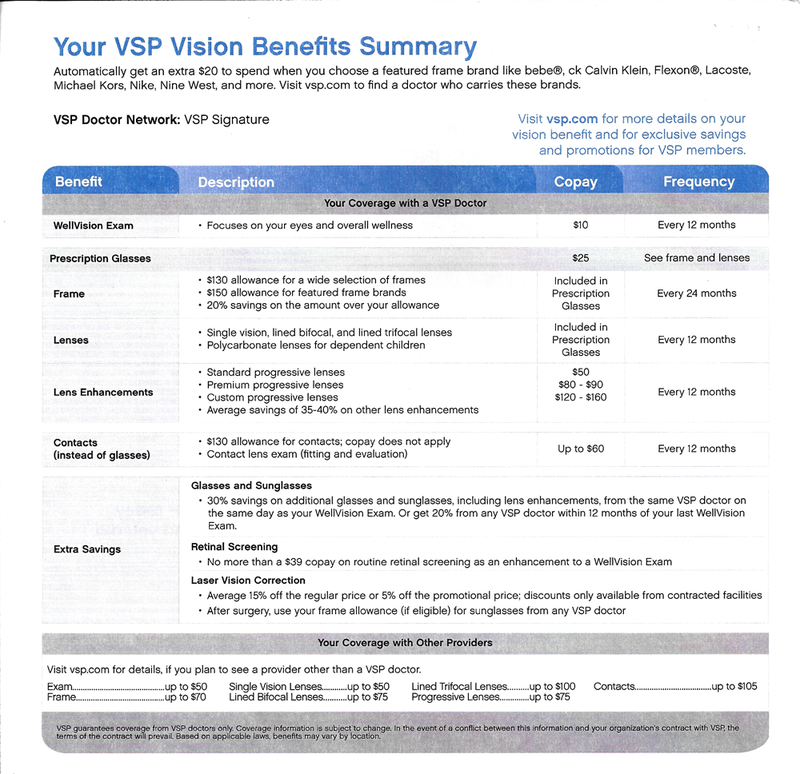 You only want the best for your eyes and VSP can help keep them healthy. You get personalized, quality eyecare and prescription eyewear from a doctor you can trust. Eyecare is important. But good health and clear vision don't just happen. With VSP coverage, you can keep your eyes healthy and get great savings on glasses, contacts and laser vision correction. VSP is a preferred provider organization with a network of over 70,000 member doctors located in all 50 states. Find a provider - Choose "SIGNATURE" as the Doctor Network when searching for a VSP provider. Your WellVision Eye Exam is covered in full every 12 months with a $10 co-pay. VSP covers either prescription lenses or contact lenses once a year. Find a LASIK provider - Check "Laser Vision Care" in the options on the bottom right when searching for a VSP LASIK provider. Exam. Or get 20% off from any VSP doctor within 12 months of your last WellVision Exam. • Guaranteed pricing on retinal screening as an enhancement to your WellVision Exam. • Average 15% off the regular price or 5% off the promotional price; discounts only available from contracted facilities. • After surgery, use your frame allowance (if eligible) for sunglasses from a VSP doctor.